MARQUETTE — Standing tall and overlooking Lake Superior is the founder of the city of Marquette. 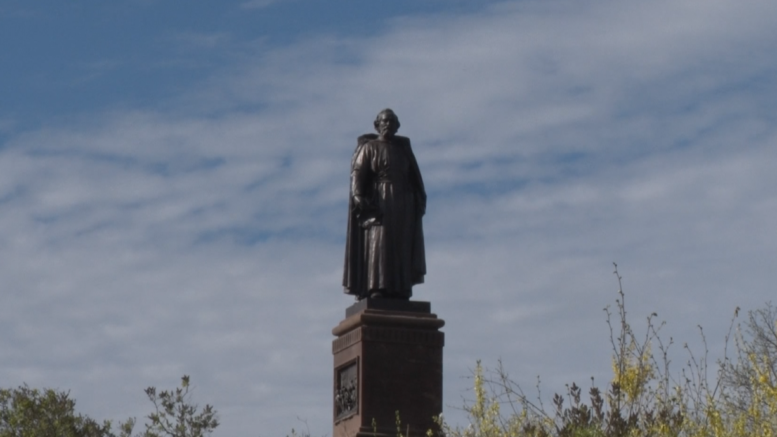 Father Marquette, the French missionary who founded Michigan’s first European settlement, has undoubtedly been a significant leader in the community and the reason behind the Father Marquette Park. “Father Marquette Park is a historic park in Marquette. This rocky outcropping is where people during the 1800’s would watch the ships come in, it was the best view of the harbor. Then the statue really transformed the park into a central focal point for the community,” said Marquette Arts and Culture Manager, Tiina Harris. Although a focal point in the area, renovations have not occurred at the park in years causing limitations for some visitors. “The actual park itself what we’re looking to do with this project, nothing has been done there in quite a long time,” said Swenson. Walking up to see the statue of Father Marquette itself, you can see the lack of accessibility that the park currently has, this is one of the main reasons behind the renovations here at Father Marquette Park. “The project is a full accessibility plan for Father Marquette Park, that includes getting folks from the bike path on the Iron Ore Heritage Trail up to the actual statue,” said Marquette Community Services Assistant Director, Jon Swenson. Other than creating more convenient pathways to the statue, a seating area, picnic tables, a viewing platform, a memorial garden, and some functional art pieces will also be placed in the park. “This is art that is going to last, we hope, as long as the Father Marquette statue will and it will really become an integral part of the park’s natural landscape and history,” said Harris. This two-hundred thousand dollar project is a partnership between the City of Marquette, the Michigan Natural Resources Trust Fund, and the Beautification Committee of Marquette. “We consider Father Marquette Park to be the front porch to our city when you’re coming into town,” said Swenson. “It needs to be revitalized, it needs to become once again a center piece of the community and it’s beautiful. It’s an old historic park that is similar to those in Europe, with the stone walkways, and the lilacs around the park. There are so many features that make this park a special place,” said Harris. 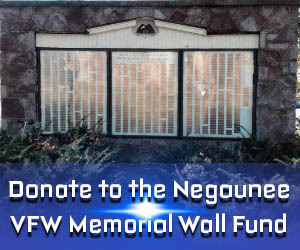 The site plan is currently in review but renovations are planned to begin this summer.